Brutus The Bulldog Defense Keychain Knife - Solid Steel Construction, Trigger Action Blade, Finger Holes, Keyring - Length 3 1/2” | BUDK.com - Knives & Swords At The Lowest Prices! 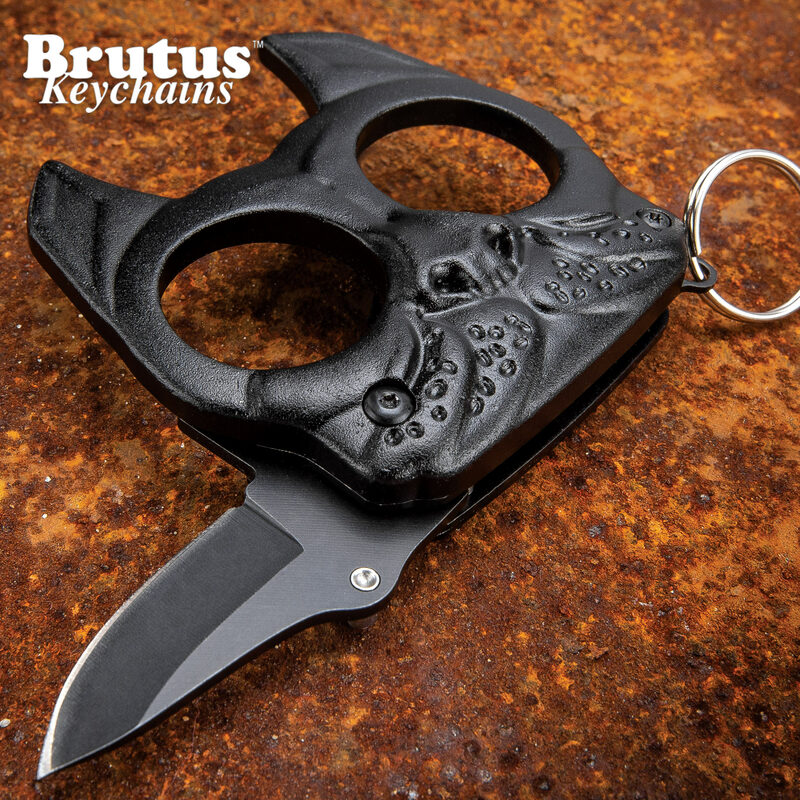 The Brutus The Bulldog Defense Keychain Knife is a discreet self-defense weapon unlike anything you’ve ever seen before! 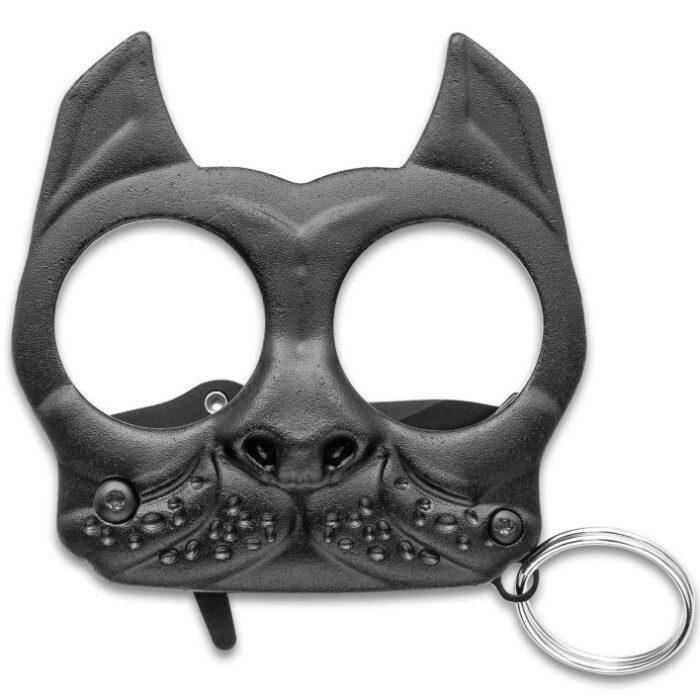 The harmless and cute-looking bulldog face keychain actually gives you two self-defense options with its hidden trigger action blade and pointed, defense jabber ears. 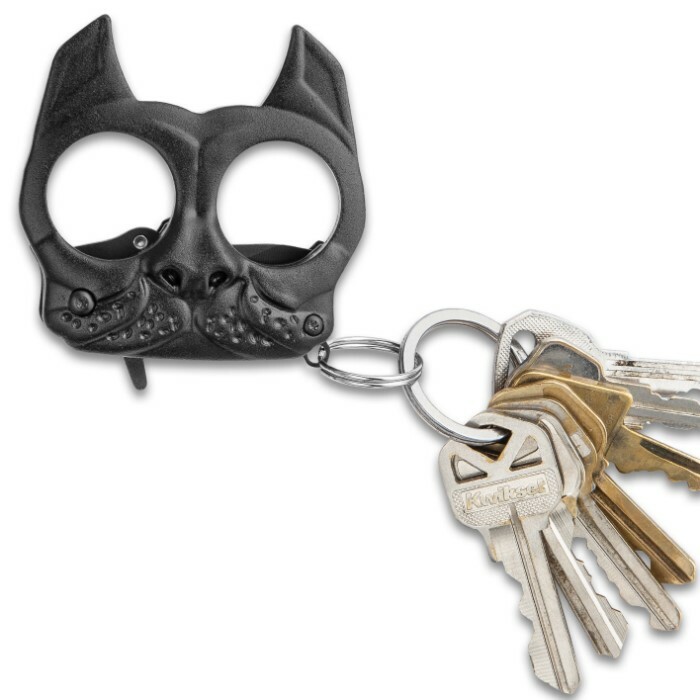 The compact body and the frame are forged from solid stainless steel with 1” diameter finger holes and an integrated keyring. The 1 1/2”, stainless steel drop point blade has a thumb stud to quickly activate the assisted opening mechanism. 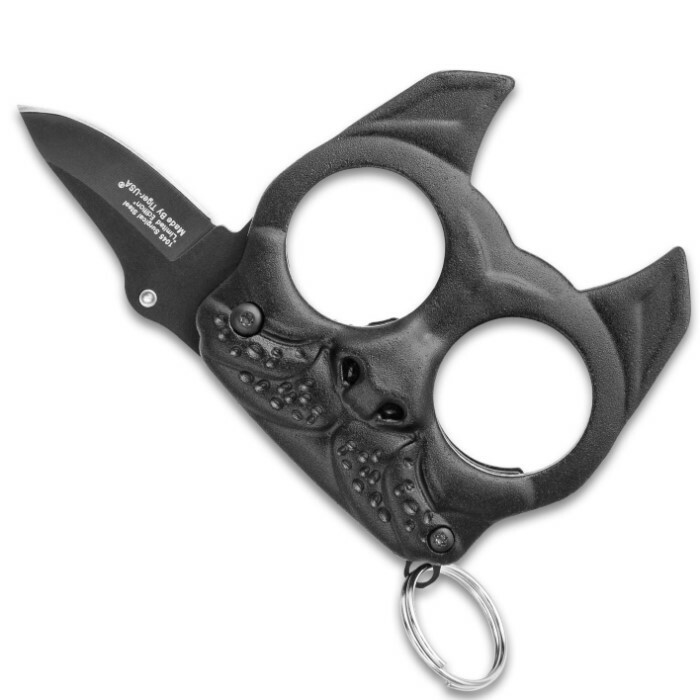 Brutus is 3 1/2” in overall length when the knife is deployed and 2” long x 2 1/2” wide when it’s closed.